March 15, 2013, Friends of the Norwalk Islands and Live Green Connecticut! 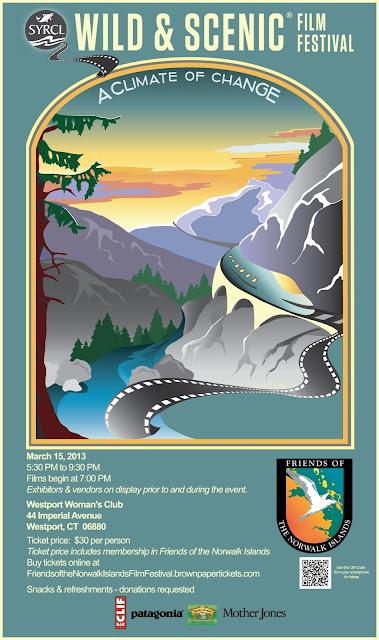 are host to the Wild & Scenic Film Festival. The Wild & Scenic Film Festival draws local green heroes, leading activists, social innovators eco-entrepreneurs and well-known world adventurers to Westport, Connecticut.